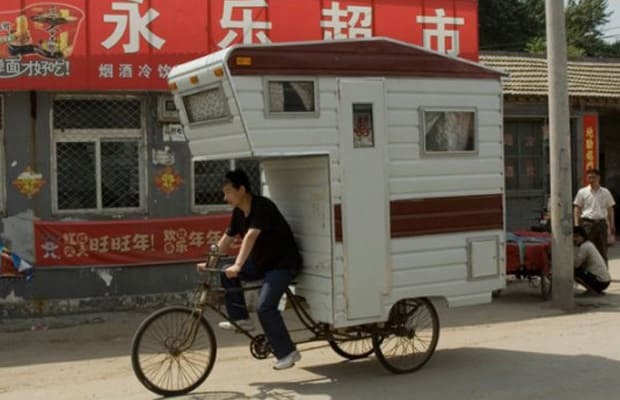 Complex Says: Ok, we know this looks like a joke, but imagine the possibilities of the camper bike. No more mortgage, car payment, or car insurance. Tour around the continent at a snail's pace with your home on your back. Why not? True off-the-grid living is a reality.